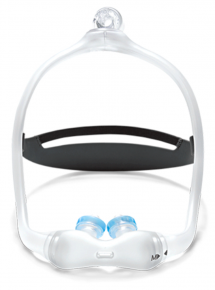 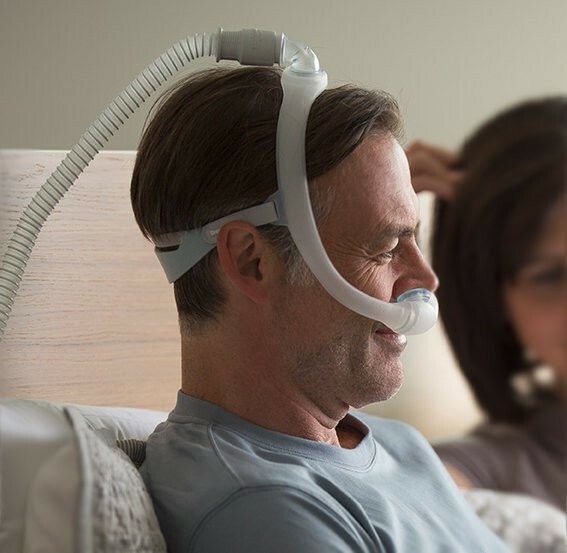 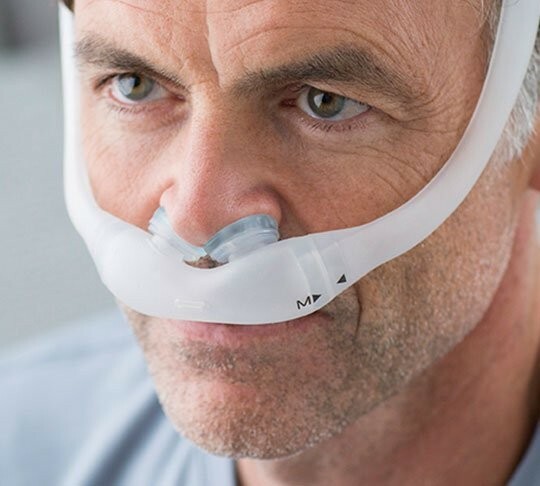 The Philips Respironics DreamWear Gel Nasal Pillow Mask with Headgear is the ideal mask for someone who wants to spend time relaxing before falling asleep. 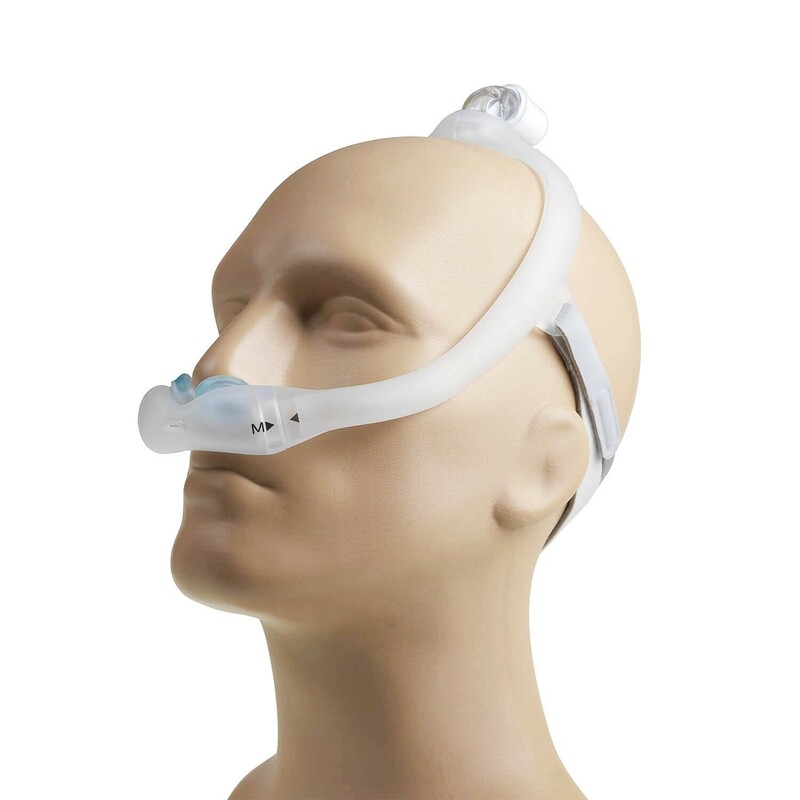 The connection for the hose is safely out of view at the top of the head and delivers air through the silicone frame. 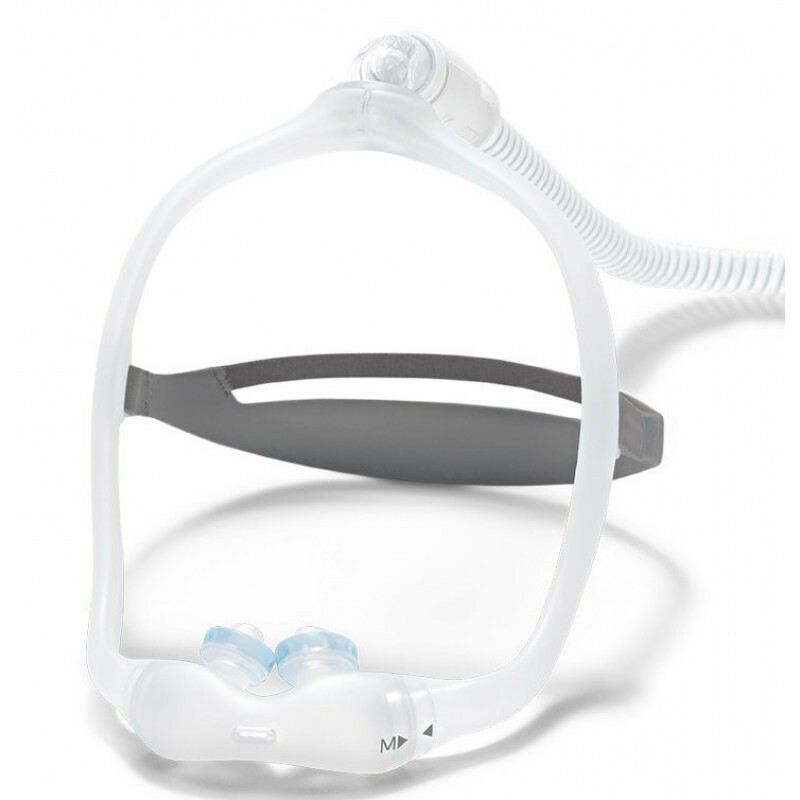 This simplistic design uses fewer parts to create the seal, making this advanced design one of the favorite masks among CPAP customers.